Featured in the image is Antiqued Engineered Walnut – Tahoe. Request an estimate online (up top). Unfinished ¾ x 4″ Plain Sawn and Rift & Quartered White Oak Flooring. In Stock. Call for Pricing! TORLYS Smart EverWood is your ultimate flooring. EverWood is beautiful, durable and waterproof. The beautiful floor you see now is exactly what you will enjoy for years to come. For the home it is elegant and contemporary, with remarkable long-life durability that will accommodate even the high-traffic needs of commercial spaces like hotels or restaurants. EverWood is the ultimate in fashion and performance. Woodchuck is STOCKED UP on this versatile product. Request an estimate today. We’re excited to announce the launch of our new online store, woodchuckdirect.com! Woodchuck Flooring has been serving contractors, builders and designers in the Greater Toronto Area (GTA) since 1970. Now, we’ve expanded our service to support the same contractors, builders and designers. Woodchuck Direct is your one stop shop for your flooring installation, finishing or refinishing project supplies. Whether you’re renovating a home, building a new home or condo, or adding wood flooring to your commercial space, we have the supplies you need. Woodchuck carries the top flooring brands for your next flooring project, including; 3M, American Sanders, Color Rite, DuraSeal, Fabulon, Loba, Masterline, Norton, Paslode, Primatech, Powernail and more. All products are shipped from our warehouse in Toronto, Canada to anywhere in Canada or the USA. Be sure to check out our shipping page for more information. If there is something you need that is not found on our website, chances are we can source it for you. Don’t hesitate to contact us. Woodchuck Flooring offers a number of Canadian flooring products that carry a true commercial flooring warranty. 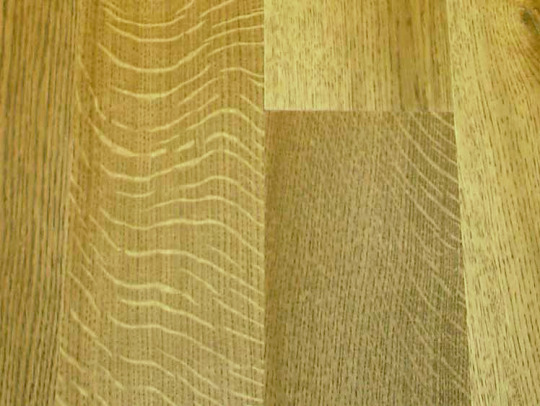 Whether it is a hardwood floor from Mirage with their NanolinxTM Commercial Finish or a Torlys Everwood/Evertile Commercial Vinyl floor, or the durable Mercier Generations Intact we have a product that will accommodate the high-traffic needs of business spaces like offices, stores, hotels or restaurants. We also have great relationships with designers and contractors in the city and offer wholesale flooring supplies. Whether you are looking for hardwood flooring for your home renovation, a specific room upgrade in your house (living room, bedroom, dining room, or maybe your laundry room), a flooring upgrade to a rental property, or a cottage we have a floor for you. From unfinished solid to prefinished engineered we carry Canadian flooring products from the industry’s top flooring suppliers and specialists. Visit our Partners section for a list of the Canadian brands we carry. Yes, we will install your hardwood flooring too. With 48 years of hardwood installation experience in Canada, Woodchuck Flooring continues to install both prefinished and unfinished flooring. We combine old-world attention to detail and the newest, most up to date equipment and products. Your project starts with a trip to our diverse showroom in Scarborough where our flooring specialists will help you choose the right flooring for your space. Our professional service team will then visit your home and provide you with a written quotation for hardwood, laminate, engineered or other flooring installation. We then work with your schedule and coordinate our installers to complete your flooring installation project. Every project is completed with a full walk through by our Foreman to ensure the flooring is installed to your satisfaction. Visit our FAQ section to learn more about our Installation service. Perhaps one of the most critical parts of any hardwood floor is the finish. Finishing a hardwood floor is more of an art than a trade. Getting it right is what we have been doing since 1970. From making colour samples directly on your floor to taping off rooms to help contain dust, everything we do is with our client in mind. We want to help you preserve your beautiful Canadian hardwood floors. Visit our FAQ section to learn more.